At Siam Star MMA, we teach kids confidence, discipline and respect while having fun learning practical self-defense through our Brazilian Jiu Jitsu, Muay Thai, and Tae Kwon Do courses! 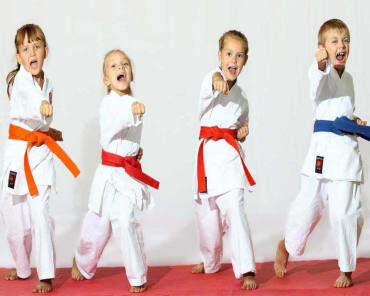 Our Kids Tae Kwon Do classes are all age appropriate and address kicking, punching, wrestling and self defense! Taught by our enthusiastic and experienced instructors, our students have fun while learning and never get tired of coming back. Class is for both boys and girls ages 3-13. Kids Martial Arts Classes In Allen Is Second To None! The goal of Siam Star MMA's Kids Tae Kwon Do classes is to assist your child reach their highest potential - both on and off the mat. Our Allen Kids Tae Kwon Do classes are carefully structured to lead to success, build self esteem, and keep your child excited, challenged, and motivated. Through grappling and ground-fighting techniques, you'll see your child's confidence soar as they are able to defeat an opponent of any size using their weight and leverage against them. Serious self defense. Brazilian Jiu-Jitsu is a martial art and combat sport that focuses on grappling and especially ground fighting. It teaches that a smaller, weaker person can successfully defend against a bigger, stronger assailant by using leverage and proper technique—most notably by applying joint-locks and choke holds to defeat the other person. In class your child will learn the basics of Brazilian Jiu-Jitsu and will get to apply them in live grappling situations. Utilizing techniques of fists, elbows, knees, shins and feet, Muay Thai Kickboxing will help your child stay engaged as they learn new methods of self defense in each session. This is a great class that keeps kids excited to learn! Watch your child punch and kick their way to success with Tae Kwon Do classes at Siam Star MMA! This program combines combat and self defense techniques to make up the most popular form of Martial Arts worldwide. An excellent tool for physical fitness and character development - for children and adults alike! Allow your child to choose between different programs that incorporate different divisions of Martial Arts. Check out our schedule below to see which program would be fitting for your child's goals and needs. *Please note, our Muay Thai Kickboxing and Brazilian Jiu Jitsu classes are seperate programs. Take advantage of our incredible web special! Kids Martial Arts classes in Allen will help your child grow into their full potential! All you have to do to take advantage of this formative program is fill out the short form on the side of this page!